Over the years, CPF system has served well for Singaporeans in supporting their retirement, housing and healthcare needs. While retirement adequacy has been improving in the recent years, several more enhancements to the CPF are expected to be rolled out this year. Secondly, lowering of the cap on sales charge. This is to discourage financial intermediaries from proactively selling products to CPF members because the investment churning could actually erode investment returns. Third, we are going to review the types of asset classes offered under the CPFIS, to see if they are appropriate for growing retirement savings. This is to encourage members to invest for the long-term, and provide members with a diversified portfolio. These changes are expected to be rolled out by the MOM later this year. CPF members who prefer a simpler investment option can look forward to the CPF Lifetime Retirement Investment Scheme (LRIS) that is currently under progress. As recommended by the CPF Advisory Panel, the LRIS will have low fees, simple investment choices, investments that are passively managed, and mechanisms to encourage long term investment. Putting together these schemes, CPF members will have three ways to grow their retirement savings in future – Risk-free CPF Interest rates, CPF Investment Scheme and CPF Life Retirement Investment Scheme. Also, plans are underway to introduce an additional option for the CPF LIFE plan from January 2018, as recommended by the CPF Advisory Panel. This is to allow members an option of starting their CPF LIFE payout with a lower initial pay-out which then escalates at 2 percent per year. 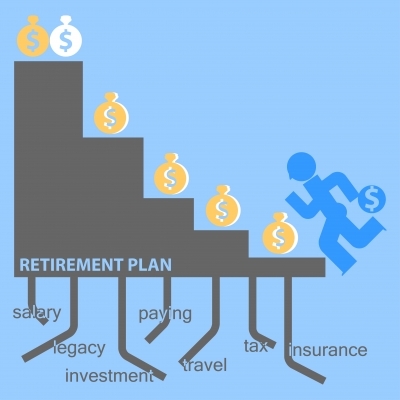 In 2013, about six in 10 active members turning 55, met the Basic Retirement Sum. “We expect this proportion to increase to seven in 10, for members turning 55 in 2020. With wage growth and higher labour force participation rate, especially among older workers, we can expect CPF balances to keep improving in the years ahead,” Mr. Lim said. To help CPF members boost their retirement savings, several enhancements were introduced last year – such as the CPF salary ceiling was raised from $5,000 to $6,000 and about 1million CPF members were benefitted by this move. For instance, a member who is 40 years old and earning $6,000 a month will save $370 more per month. And with interest, it will grow to $149,000 by the age of 65. About 570,000 workers aged 50 and above benefited from increase in our CPF contribution rates. Another one million CPF members aged 55 and above benefited from an additional extra interest of 1% on their first $30,000 savings in CPF. Also last year, CPF members were allowed to transfer savings to their spouses account, and about 2,700 members took advantage of this facility, which is more than 70 percent a year before. Now, beyond the Basic Retirement Sum and the Full Retirement Sum, the Government introduced the Enhanced Retirement Sum (ERS) last year. About 9,000 members exercised this new option to top up beyond the Full Retirement Sum. Those with ERS at age 55 will receive $1,900 per month for life when they reach the withdrawal age of 65. Last but not least, CPF members now also have the option of deferring the starting age of their CPF LIFE payouts, up to the age of 70. So they don’t have to start at 64 even though the payout eligibility age now is 64. If they want to, they can defer up to the age of 70. On the whole, these recent CPF changes introduced by the Government will help both the young and the older members to improve on their retirement adequacy.